All of our Flat Ring Eggbutt Snaffle Bits are in stock and ready to ship out. 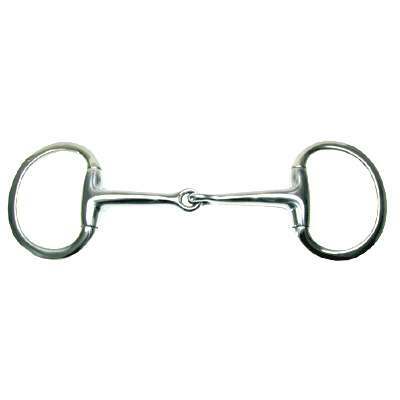 This Eggbutt Snaffle Bit has a fixed mouthpiece and does not rotate around the rings which prevents pinching of the horses lips. This bit also creates snapping action with rings and mouthpiece. The bit measures 3'' except on the 4'' pony bit which measures 2'' in the rings. Only top quality Horse Bits are sold at Horse Tack Now.